Knit a basic sock using fine needles and special sock yarn. 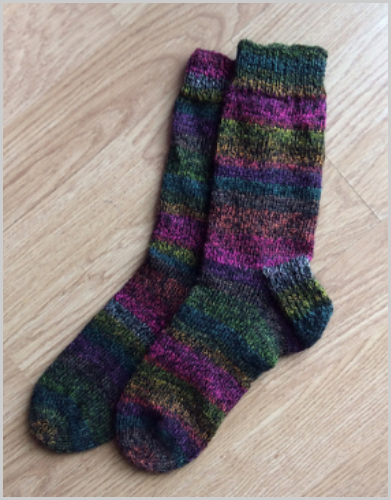 You will learn to use double pointed needles, turn a heel and create a gusset. The instructor will discuss ways to ensure a proper fitting sock. Requirements: You will need US size 2.5 mm double point needles or addi Flexiflips, and 100 grams of sock weight yarn. All yarn must be purchased at Mosaic Yarn Studio. 10% discount when buying for class!